Heat 1 tbsp ghee in a fry pan, add rawa and fry till it fragrant. Take it aside. Add 2 tbsp ghee to the pan, fry cashew to golden brown followed by raisins (dry grapes) and cardamom. Now add 1 ½ tb water to the pan and allow to boil. Drop rawa in this and stir well in low flame. Cook in covered for about 4 to 5 mins. 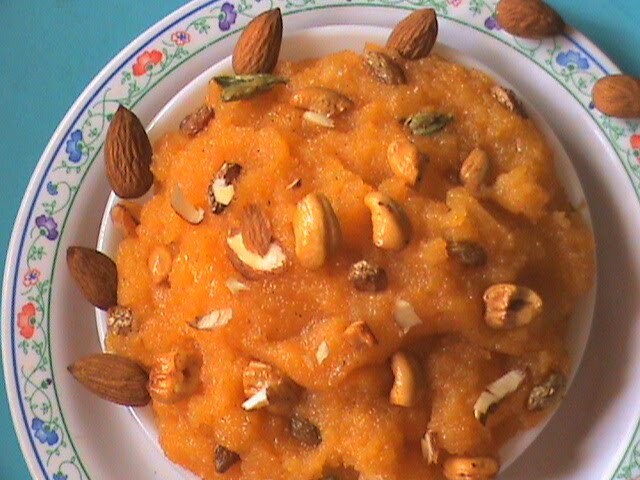 Once the rawa is fully cooked, add sugar and combine them by stirring continuously. 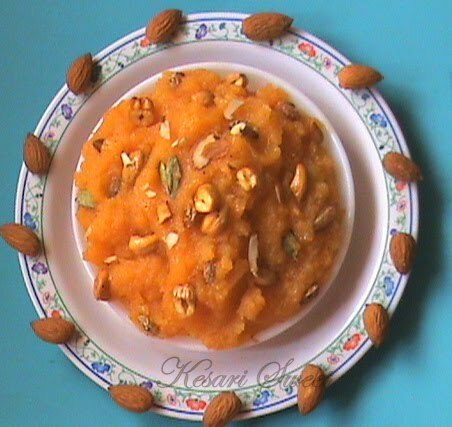 Add a pinch of kesari pwd to 1 tbsp water, mix I tand add to the above content. Combine it. Keep it in simmer for about 4 mins. As the contents starts to roll up on stirring , turn off the flame. 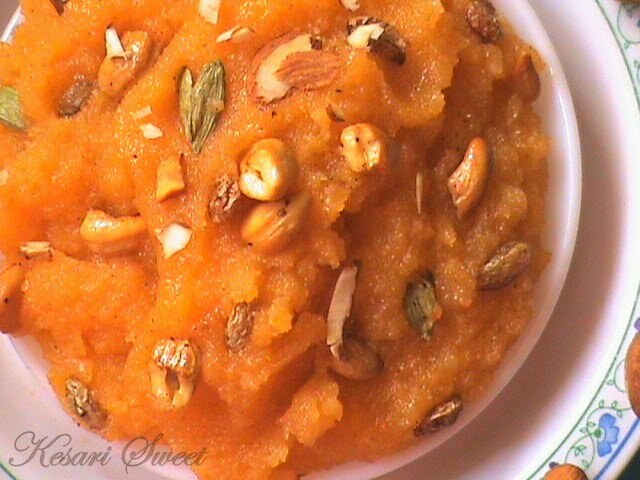 Add 2 tbsp ghee, fried cashew, raisins, cardamom and mix well.